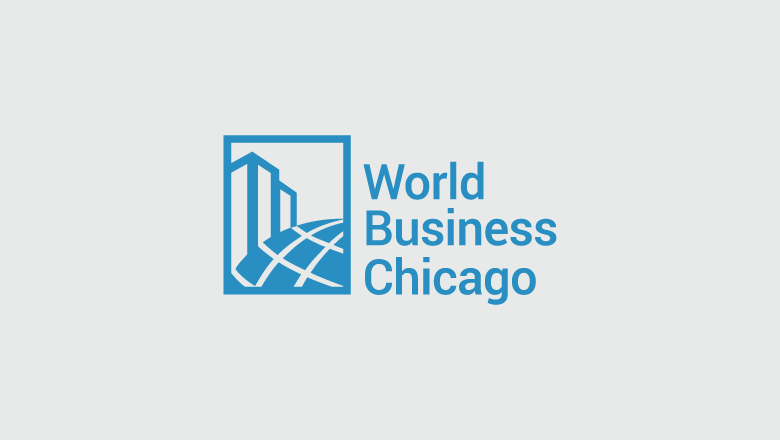 For the last 18 years, the mission of World Business Chicago (WBC) has been to drive economic growth and job creation in the city by bringing together key parties in the public and private sectors. 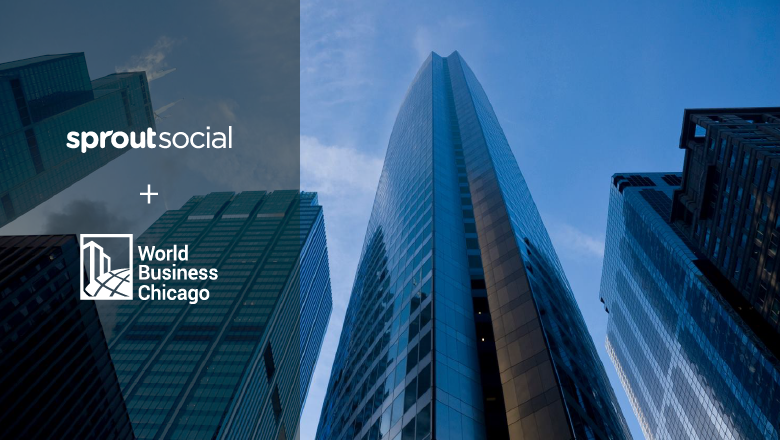 Recently the nonprofit organization added a very deliberate lens of inclusion to this mission by focusing on Chicago people, businesses and neighborhoods that have been traditionally marginalized. WBC has found the introduction and dissemination of this new mission has been particularly successful through its social channels, despite a relatively small follower count. So when WBC needs to gauge whether or not its content is really penetrating, it looks to who’s sharing it and how wide its subsequent reach is. 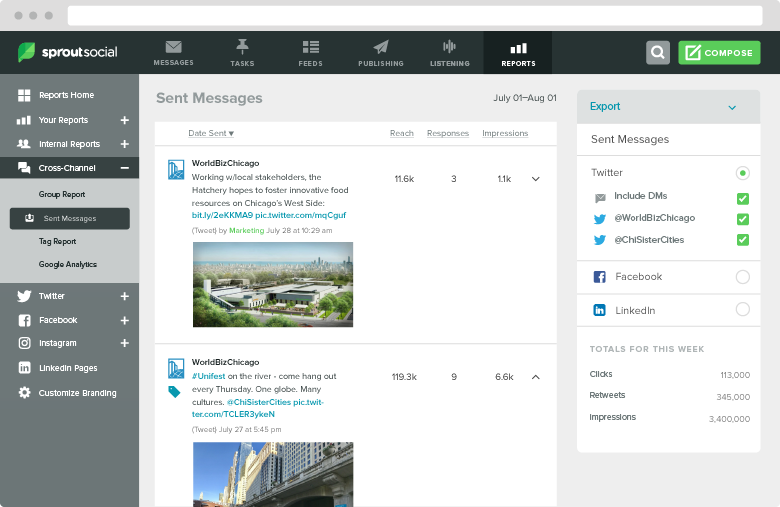 To do this the organization relies on Sprout’s Twitter reporting feature, Potential Reach, found in the Sent Messages report. Potential Reach not only accounts for the number of followers you have when you published a tweet, but also the number of followers of every account that retweeted it. While engagement and new followers are always important metrics, it’s the Potential Reach number that allows WBC to judge message amplification to the 2nd and 3rd degrees. As for content curation itself, WBC relies heavily on Sprout’s Queue and publishing calendar to plan out more strategic posts, freeing up the organization to focus on real-time coverage of industry events. This ability to post relevant, on-strategy content while also maintaining an influential presence at important civic events is vital to the organization’s perception and reputation as a thought leader. 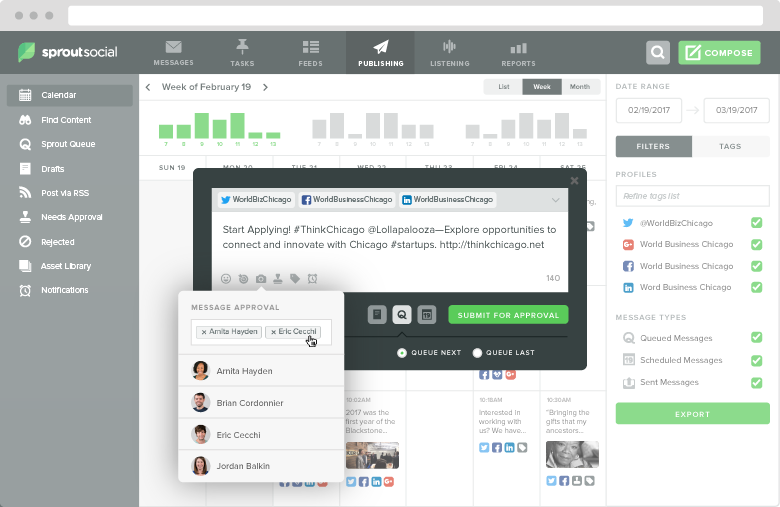 And while having the right content is key to any successful social strategy, the ability to gauge whether or not it’s resonating with the right audience is an invaluable tool that Sprout’s advanced reporting features offer. To further build its network of local and global connections, WBC will continue to rely on social media—and Sprout’s powerful platform—to leverage the influence it needs to make a lasting impact on the city’s community and economy. Reach vs Impressions: What’s the Difference in Terms?